Since its introduction to the U.S.market in 2012, Roof Tech, a 2015 finalist for the Intersolar Award, has been making waves in the domestic market with RT-[E] Mount — a versatile PV mounting system that attaches anywhere on roof decking and it’s sealed with RT-Butyl flexible flashing. RT-Butyl seals with weather-tight, leak-proof properties that withstand the most extreme temperatures while retaining elasticity and strength. Developed and manufactured in Japan for Roof Tech’s parent company Yanegiken, RT-Butyl is free of the chemical organic solvents found in some sealant products that can damage asphalt roofing. The result is a visually seamless PV installation that stands the test of time. RT-[E] Mount is the first and only PV Mounting system with an integrated flexible flashing certified by the ICC for durability and water resistance. Mount AIR is the all-in-one rail-less mounting system that provides three inches of clearance above the roof surface, allowing space for a microinverter or power optimizer, while providing the same lock-tight, weatherproof seal as RT-[E] Mount. 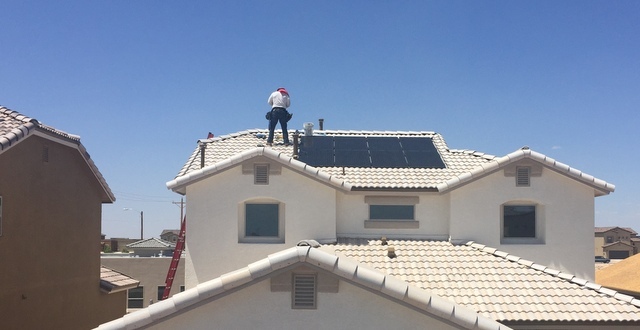 U set Solar is Roof Tech’s unique patented frame design with incorporated mounting for fast, simple installation and streamlined visual appeal. For every project, location, budget and situation in the solar building landscape, there are a variety of mounting solutions to consider. So, what’s right for your project? And what can the latest mounting technology do today that wasn’t possible several years ago? Our 2015 Solar Mounting Product Showcase hopes to answer these questions, give you a better idea of what’s available in the market and feature products that will make your next project a success. 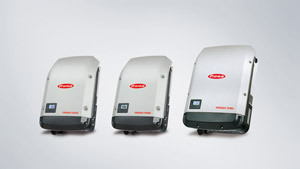 Fronius USA has a line of string inverters known as SnapINverters that offer a variety of unique mounting opportunities to best serve the solar market. A key benefit to the design of these SnapINverters is the hinged mounting system, which allows for rapid install times and an easy swivel snap system. The Fronius SnapINverters include the Fronius Galvo (single phase, transformer, 1.5-3 kW), the Fronius Primo (single phase, dual MPPT, 3.8-8.2 kW) and the Fronius Symo (three phase, dual MPPT, 10-24 kW). The Fronius Symo offers a flat-roof mount commercial solution to NEC 2014 without additional hardware. The residential units, the Fronius Galvo and Fronius Primo, can be conveniently mounted and installed in under 15 minutes. For more info, visit fronius.com.